So she gets a good paying job. As a stripper. She’s also caught the eye of someone who wants to do more than look, someone who’s decided that she’s nothing but a tease. As the clothes come off, Harlow finds herself caught between lust and murder. The only thing she knows for sure is that her new risqué job is a lot more than she bargained for. 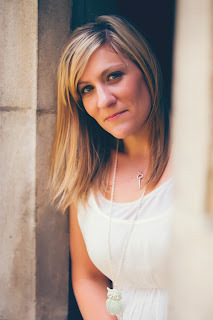 Cambria Hebert is the author of the young adult paranormal Heven and Hell series, the new adult Death Escorts series, and the new adult Take it Off series. She loves a caramel latte, hates math and is afraid of chickens (yes, chickens). She went to college for a bachelor’s degree, couldn’t pick a major, and ended up with a degree in cosmetology. So rest assured her characters will always have good hair. She currently lives in North Carolina with her husband and children (both human and furry) where she is plotting her next book. You can find out more about Cambria and her work by visiting her website. thank you for posting this looks awesome!!!! !